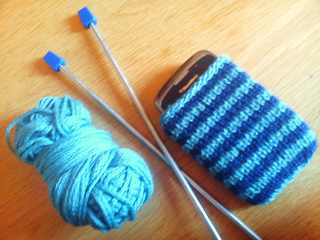 A super quick knit to keep your mobile phone snuggly! Just grab two different yarns of a similar weight from your stash. Fab for using up those odds and ends.